Given that I came back a while ago, I thought I'd get going on this again. The collection. Updated whenever a new track is arranged/made. Colossus City - Sounds very industrial and scratchy. Sounds less like FF7, which is helpful. I guess it'd be nice to have a discussion on whether we're looking for a more gritty industrial feel or the more smooth, street-savvy feel of the original. Topaz Intro - Yeah, it's great! Personally the "old" version of Colossus still remains one of my favorite tracks, and the strictly General MIDI instrumentation didn't do it enough justice. It always bothered me that the beginning riff was pretty much a sped up version of FFVII's Oppressed People. FFVII's soundtrack is great, amazing even, but it's not really Pokemon. Colossus scared me a little. It's nothing like I expected (I hadn't listened to the old version), but in the best possible way. I'm all for the more "gritty" version. It IS the original version, although with more fitting instrumentation. I know; after I listened to it, I had to look around and find the old version to know what comparison IB was talking about. I guess what I meant to say was that the new instrumentation just felt right from the start. Special Themes folder updated, title screen (tagged and named "Caldera/Kirant Region Theme" because I'm more or less following the Pokémon SMC tagging format) added. New folder added for Route themes! E: Added Skobeloff Town to City Themes folder. Now the new Route theme has a linking town theme. Last edited by STT; 02-14-14 at 04:46 PM. Neo Bay and Route 201 added! ADDED: Mt. Frost, Mt. Mist (Dungeon Themes). ADDED: Mistvale City, Saharan City (City Themes). Mistvale: For the most part great! There is a percussive chord that runs through the whole piece that sounds like clarinet or oboe or something? Could that be toned down a bit at the beginning? It sounds like robotic geese. Every other part is awesome though, and I do see that you tone it down further along the piece. But the aforementioned bit is a bit grating. Neo Bay: Personally I would cut the maracas, or at least make them always the volume they are at in the B section. The speed of their beat makes the piece sound too urgent, which is stressful for the first town. In all other matters, great! Saharan City: Once again, percussion can stand to be toned down, otherwise great. Skobeloff Town: No complaints, I remember in previous versions you also had super percussive chords, no trace of them here. All is good and beautiful. Mt. Frost: Bells a little over the top still, mainly because they are playing the same note over and over and over. Is that ralentando part of the original? I don't know if it's necessary. All else is good. Mt. Mist: Yeah, I think this works. Early on the snare may be a bit too loud but it kind of works here because there is urgency to the story here. Route 201: Great! Exactly how I'd imagine the beginning of an adventure would start. That would be an erhu, which is the instrument I think Tori tried to emulate with trumpets in the MIDI recording. I can tone that down a bit, sure. I didn't really like the maraca samples anyway, I'll get on fixing that in a bit. Already done, going to upload in a bit. In the tracks submitted in '10/'11, I knew a lot less about mixing than I do now, so that's always good to know I've improved. 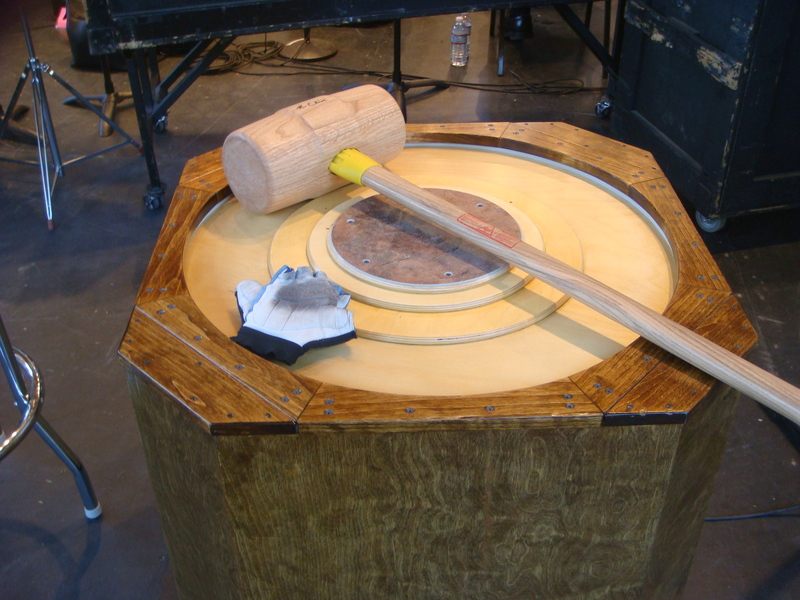 Added: Concert bass drum, Mahler hammers, slap sticks, 23" gong. You might be hearing the anvils/hammers. I'm not sure if this matters, but I've only listened to Neo Bay before, I believe. I'm going to be rather vague, because I don't really have a well-trained ear for stuff like this. Mistvale: Love it. I'm not sure what part IB was talking about, but I'm sure he's right. Neo Bay: I liked the maracas for the first half of my first listen, but by the second time it seemed like too much. There was really no variation in them, except when they stopped for a while, so it started to just seem like static. Saharan: Awesome instrument choices there. Also, I kind of want it to be my theme song, but I could never pull that off. Skobeloff: Especially liked the part around the 30 second mark, where the instruments that I'm going to, in my ignorance, assume are a piano and a stringed instrument of some form, come in. Mt. Frost: I'm not sure why, but I assumed that this was for Victory Road or the Pokemon League before I read the title. Make of that what you will. Mt. Mist: Awesome. Also seemed Pokemon-League-ish to me, so perhaps I just associate any dungeon music with that. Route 201: Absolutely adorable for some reason. Perfect for an easy route. Route 236: Kind of a mix of suspenseful and triumphant, so it's pretty much perfect for a route coming out of "Mountain Pass". I could also see it as credits music. Region Theme: I liked it, although the parts with the really rapid drumming (almost like a zipper) in the background detracted from the rest. If that were slowed down, I think it would be perfect. Cool, an erhu. Still, I'd like it toned down. Great work so far, STT! Cave Theme / Twilight Cavern added to Dungeon Themes! Twilight Cavern: It's hard to judge since there's just so much of everything. I think it's fine. Added Chartree Forest to Dungeon Themes! It sounds great, but when the melody comes in it gets a bit muddled as it's less bright than everything around it. Could you bring up the volume on the sustained melody (probably a string bit?) that comes in after the first riff? I assume you mean the violin/flutes/oboes? Will get on that. The violin is the primary melody, it's getting covered up too much by everything else until the B section. Yes, it's distinctly audible now and not muddled. Great work! Eye of Sand added to Dungeon Themes! This is an all-new track, the original version was a direct lift of Route 111 from RSE. Route 223 added to Route Themes! Gym Leader Battle theme (now called "The Final Fight! Vs. Gym Leader") added to the new Battle Themes folder, with the orchestral backing track added as a bonus in Bonus Tracks & Extras! Go nuts! Kalypso City added to City Themes. Required a bit of editing in GoldWave since I had to fight with FL Studio (it kept sticking a stupid tail on the end). Last edited by STT; 04-20-14 at 03:07 PM. Both of the Gym Leader Battle tracks sound great, but the orchestral backing one sounds a lot cleaner and less muddy. I don't quite get why there are both though, was the orchestral backing track added to something to make the Battle Themes Folder one? Kalypso sounds amazing, except that there seems to be a little background noise in the the drums that sounds like an off-pitch continuous voice. It makes the whole first section a little creepy, actually. I like the gym keader song too. The orchestral one is very nice, although I do thing that the one in the battle themes folder fits pokemon's style a bit better. I also really like Kalypso's theme. The beginning of it reminds me of Peach Beach from Mario Kart Double Dash, although that may just be because I've had Mario Kart music in my head for too long. I'm not really getting any sort of creepy vibe, though. The orchestral backing track version was something I added for fun; it's just a cool little bonus. It's just the full track with the drums, guitar and bass removed. I used a bitcrusher (well actually I used Glitch, but only its bitcrusher) on the intro drums in Kalypso, that's probably what you're hearing. You might need to do a little mixing/EQ work on the drums guitar and bass then to make the melody stick out a little more. Dynamo Gardens added to City Themes. Yeah! Great job! You did a really good job of keeping within the spirit of the original. Hollowlog City added to City Themes. Battle! Rival (now called Showdown with Bradley!) added to Battle Themes. In addition, exporting Showdown with Bradley! actually ended up crashing FL Studio for some reason. This computer has nowhere near enough memory for this, lol. Last edited by STT; 04-22-14 at 11:57 AM. I don't know if Showdown with Bradley! fits because you'll also hear it when you fight Simon and Alisa. Sounding good! Sounds a bunch more metal than before. I can retag/rename it, it's not a big deal.